This antique sterling silver pin has two golf clubs facing opposite directions. Mounted on top is an art nouveau style medalion of a lady's head, and she has long flowing hair. The back of the medalion has two holes, which I assume were made when the mold was poured, and it is marked STERLING. 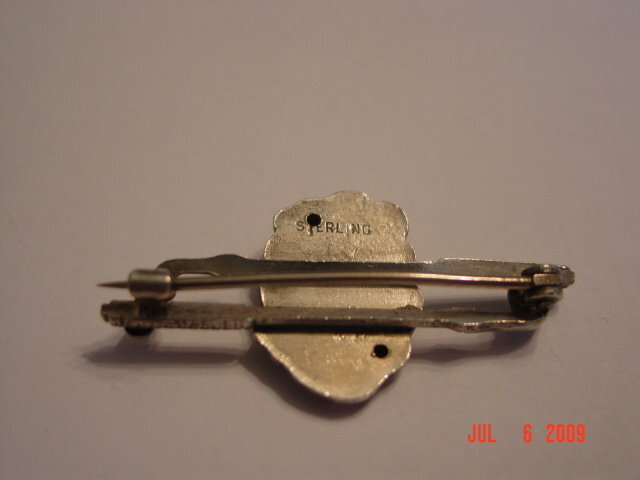 It has a ball hinge and "C" clasp closure. This pin has a light patina and is in excellent condition. 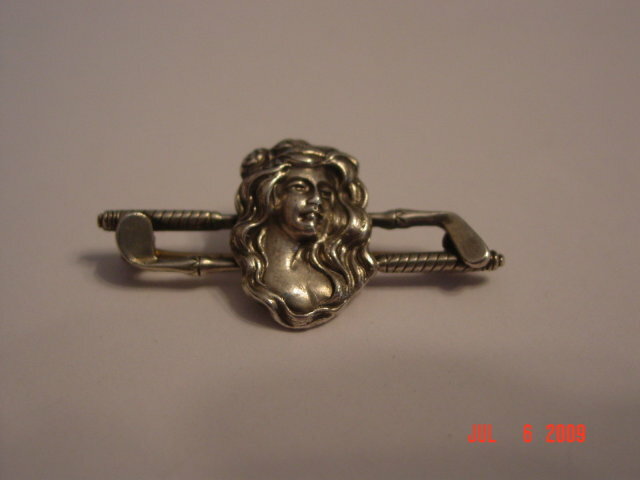 Items Similar To "Antique Sterling Ladies Golf Pin"